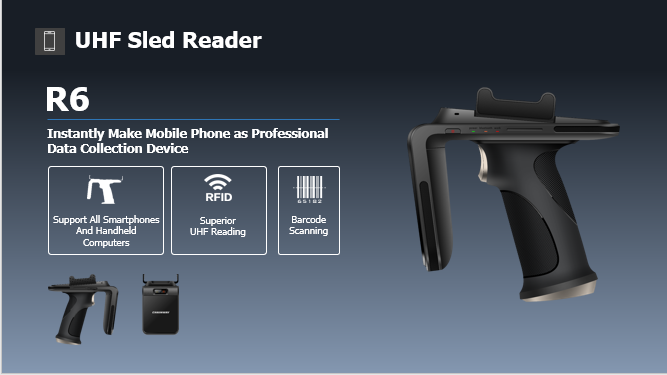 Powerful UHF Reading and Writing RFID Sled Reader MXR6 features powerful UHF reading and writing, and barcode scanning with high sensitivity. 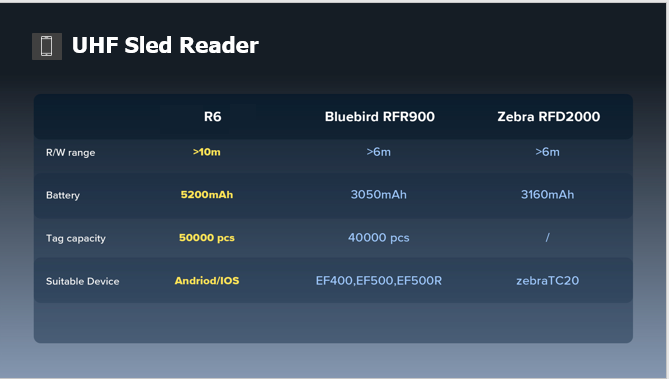 You can attach mobile phone to MXR6 UHF Sled Reader for a complete one-piece solution. 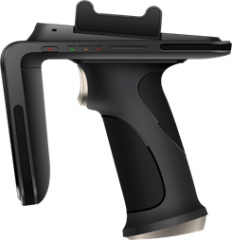 The device can be widely deployed in clothing inventory, warehouse management, vehicle management, financial management and so forth.